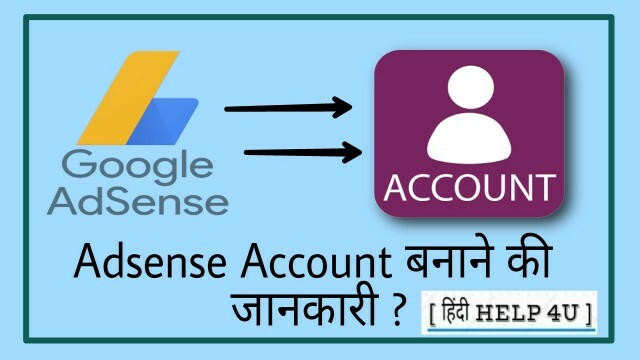 Adsense Account बनाने की पूरी जानकारी ? Read: Youtube Account Kaise Banaye ? 1. Gmail Account kaise banaye ? Read: Google Par Gmail Account kaise banaybanaye ? 2. Website या Blog कैसे बनायें? दोस्तों आपने blog तो बना कर रखे ही होंगे. और उसमे कुछ post भी upload कर रखे होंगे. 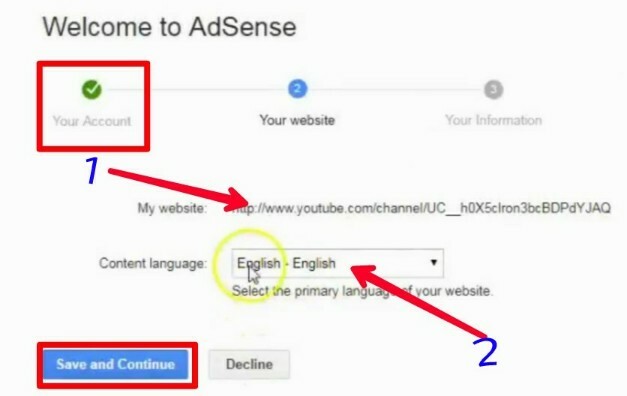 आपके blog पर visitors आते है और अगर आपने ब्लॉग को AdSense से connect नही किया है तो आज में आपको इसका पूरा तरीका बताऊंगा. अगर आपने अभी तक ब्लॉग नही बनाया है तो पहले ब्लॉग बना ले. Read: Website (Blog) kaise banaye ? Note- Adsense account banane ke liye aapki site par per day kam se kam 300 pageviews hone jaruri hai. agar aap isse kam traffic se AdSense account banane ki koshish karoge to aapka AdSense account nahi banega. 1. First Sign Up Now Par Click karen. अगर pahle se log in account se AdSense account banana chahate ho to Yes, procced to google account sign in par click kare. 1. यह पर आप अपनी website का url type करे. 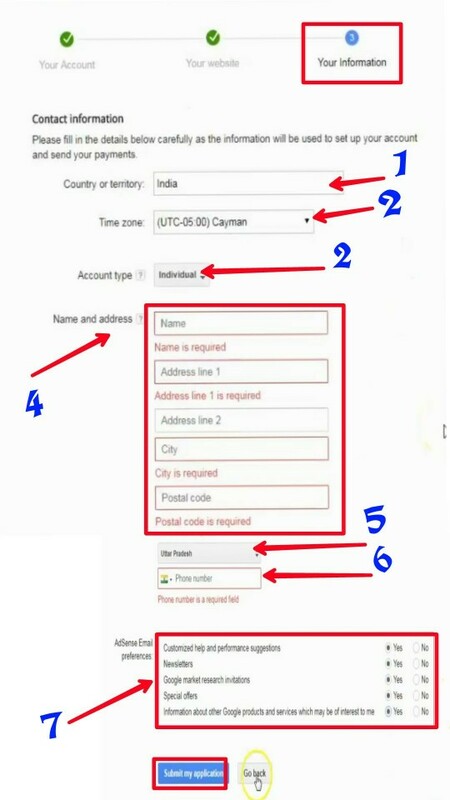 (अगर आपके पास khud ki website नही है तो aapke pas 2 Option hai. 2. इसके बाद Continue पर Click kar de. 4. Address– यह पर सही पता enter करें, Dhyan rahe, Address Sahi Hona chahiye ? apne pin code enter kare. 5.-State– yaha par aapko apna pura naam bharna hai. aap jo bhi chahe bhar sakte hai. wese apna asali wala naam jyada sahi rahta hai. 6. Mobile Number– यह अपना mobile number enter करे. Submit my Application– अब एक बार अपनी सारी जानकारी Check कर ले Koi galti Na ho, theek bharne ke bad Submit My Application par click kare. Seo friendly post कैसे लिखे जल्दी Search में आने के लिए ?